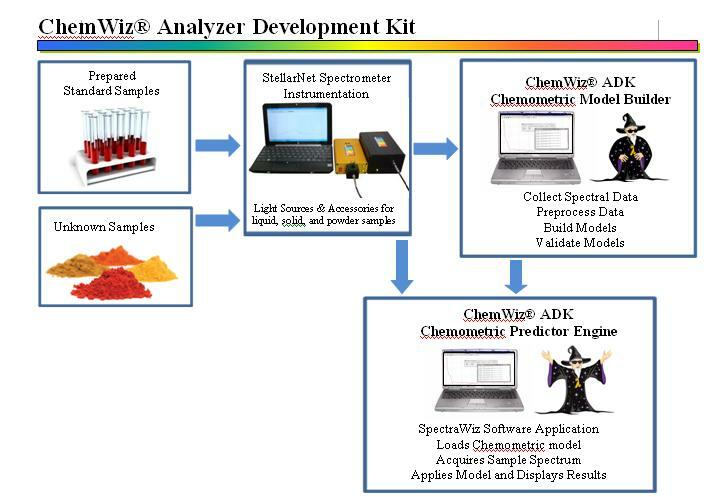 Full spectrum chemometric analysis for multiple components can now be performed using the ChemWiz® Analyzer Development Kit (ADK). This software toolkit, when combined with StellarNet spectrometer instrumentation and SpectraWiz operating software, enables rapid development of complex analyzers needed to provide custom measurement solutions for many applications. Radiometry, Colorimetry, Chemistry, Biology, Physics and more. 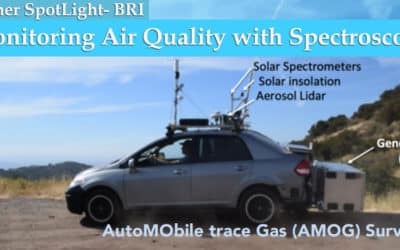 Real-time spectral data is used as input to measure concentrations of up to 6 components such as moisture, fat, protein, alcohols, acids, or chemicals such as pesticides. Alternatively, the ChemWiz® ADK can be used to classify samples, such as the types of plastic. The toolkit includes a model builder which is used to process spectra from a set of known component concentrations. Here the spectral pre-processing techniques are selected such as multivariate scatter correction (MSC), smoothing, derivatives, and mean centering. The multivariate analysis type is then selected such as partial least squares (PLS). Finally a cross validation technique is chosen and used to improve the reported statistics indicating accuracy and fitness of the calibration model created. The ADK includes a runtime engine that performs the analysis in real-time with little to no sample preparation. The measurement results are displayed on the SpectraWiz Application panel for “Chemometric Predictor” which is also provided in our LabVIEW software program for OEM developers. Each analyzer system can be tailored with sampling accessories to measure liquids, solids, and powders. For liquids, absorbance is measured via flow cells, dip probes, or cuvettes. 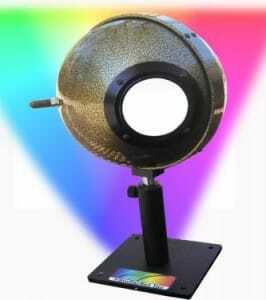 For solids and powders, reflectance is typically used to measure sample absorbance. Near infrared diode array spectrometers such as the DWARF-Star NIR-512 with TEC cooling are typically configured for analyzer development. 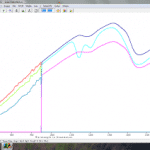 ChemWiz® Chemometric predictor panel in SpectraWiz displaying component concentration values in real-time. 1. Prepare a set of Standard Samples with known concentrations of the parameter of choice (moisture, fat, fiber, etc..). Generally the Standard samples will be prepared by the end user and sent to a laboratory for chemical analysis. (rtech labs). 2. 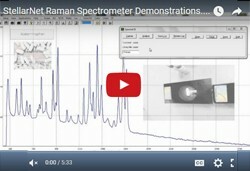 Collect spectra of each Standard Sample using StellarNet Spectrometer Instrumentation. 3. Load collected Spectra into the chemometric model builder and select (a) desired wavelengths of calibration (b) spectral preprocessing (c) cross validation methods (d) and model of choice. 4. Once the calibration model is built it can be verified using statistics indicating accuracy and fitness of the model. The end user may build many different models for different sample types and matrices (i.e. different types of cheese powders may require separate models for the highest accuracy of prediction). 5. Load model file into SpectraWiz and open ChemWiz Chemometric predictor panel to view calculation of your parameters of choice from each collected spectrum in real-time. 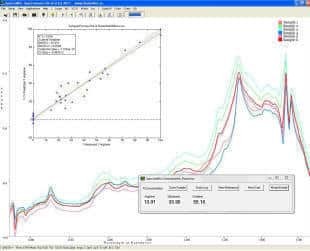 The panel shown is the SpectraWiz software Application for chemometric model prediction, that uses reflectance to measure percent composition of Amino Acid in sample powders. Application is only enabled when the Wizard detects a model and the Wizard Runtime chemometric prediction engine is installed. Save sample, review log, spectral reference, and model selection are accessible. – and lots more preprocessing options. StellarNet’s wide range of miniature spectrometer instrumentation and complete line of light sources, optical fibers, and sampling accessories combine with the new ChemWiz® Analyzer Development Kit (ADK) to allow end user’s to build their own custom analyzers. 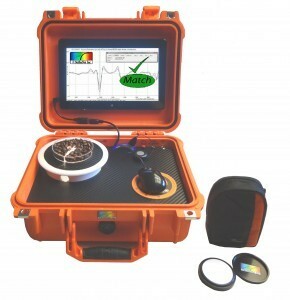 Integrated portable case system includes interior mounting of spectrometer instrumentation pre-configured for “Open & Measure” application with no additional setup required. The system includes a top mounted tablet with pre-installed SpectraWiz & ChemWiz ADK Software and an internal main power control system with ON, OFF, & Charge buttons. The pre-configured spectrometer equipment is covered with an acrylic sampling surface and sampling fixture head for easy measurement & clean-up. 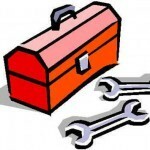 The system battery has 8 hour lifetime for field and portable application. Analyzer Development Kit model Builder and pre-developed models for specific sample types & components are purchased separately. Full spectrum chemometric analysis for identification of multiple component parameters has many applications. Currently the Food and Agricultural Industries have developed many methods for quality control and safety assurance. UV-VIS and NIR spectroscopy serve as a means for rapid non-contact analysis of samples, revolutionizing our current standards for product control. Other industries such as the polymer and plastic, chemical and industrial, pharmaceutical & and dietary supplement industries find useful applications with UV-VIS-NIR spectroscopy. This section of the website serves to provide useful resources for applications requiring chemometrics models and UV-VIS & NIR spectroscopy to determine various parameters of choice. 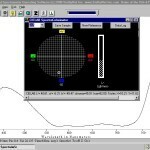 Although other hardware and software may have been used to accomplish the measurements in the literature cited below, StellarNet spectroscopy instrumentation and development software may be used for similar applications. StellarNet engineers are available to suggest configurations; however, StellarNet is not a consultant firm or R&D facility. Please refer to the references for further information and/or guidance to determine feasibility of your project. Below the parameters of choice are black and the references are listed below in blue and pink. From compositional analysis to process optimization and quality control, our robust NIR systems will allow you to determine multiple parameters simultaneously. 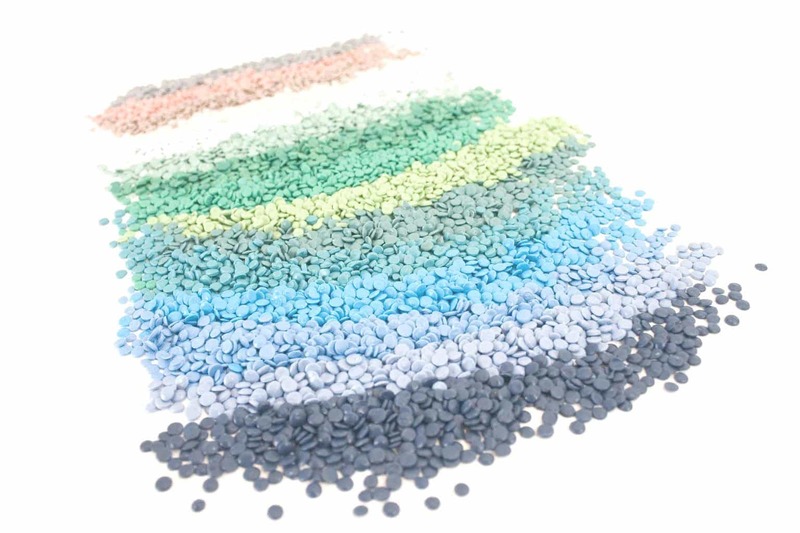 Incoming raw materials are easily measured to verify they meet all specifications certified by the vendor and batch ratios can be monitored for uniformity, ensuring a quality final product, avoid over-processing, and much more. Since the explosion of NIR spectroscopy in the 70’s there have been more published studies on NIR applications in forages and feed analysis than any other agricultural commodity. 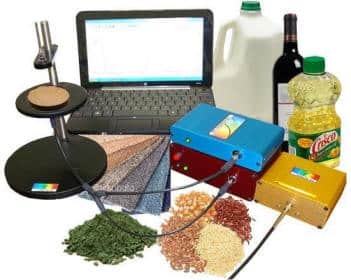 NIRS is used to monitor certain parameters such as moisture, ash, protein, total nitrogen, fiber, lignin, and even certain parameters such as digestibility and energy content. Water is the most dominant feature in the NIR spectra of most agricultural products because of the strong absorptions in the combination band (1870-1945nm) and the first overtone (1430-1450mn)1. Ash content represents the minerals both available and unavailable to the animal (it is the inverse of organic matter content). Crude Protein calibrations are usually accurate due to the strong -NH absorptions in the NIR with most reported squared correlation coefficients (R2) greater than 0.95. Fiber can be estimated due to variations in -CH and -OH absorptions. Digestibility is a property usually predicted by regions around 1670nm (aromatic -CH) and 2270nm where cellulose and lignin strongly absorb2. 1. Abrams, SM., J.S Shenk, and H.W. Harpster. 1988. Potential of near IR reflectance spectroscopy for analysis of silage composition. J. Dairy Sci. 71:1955-1959. Other fruits and vegetables can be monitored for percentage soluble solids, acids and sugar content and even ripeness. A sample table listed below provides some examples of parameters found in the literature on various sample types. Like forages and feedstuffs, small grain crops and cereals, especially wheat, have also been examined extensively. Common analytes or parameters have been amino acids, ash, glucosamine, moisture, protein, and whole grain analysis. 4. American Society of Brewing Chemists. 1998. Report of subcommittee on protein and moisture in whole-grain barley by near infrared spectroscopy. J. Am. Soc. Brew. Chem. 56:189-194. 5. Delwiche, S.R. and W.R. Hruschka. 2000. Protein content of bulk wheat from near infrared reflectance of individual kernels. Cereal Chem. 77:86-88. 7. Iwamoto, M., T. Suzuki, N. Kongseree, J. Uozumi, and O. Inatsu. 1986. Analysis of protein and amino acid contents in rice flour by near-infrared spectroscopy. Nippon Shokuhin kogyo Gakkaishi 33:848-853. Beverage and wine industry use NIRS spectrometers to monitor the quality of incoming barley and hops and ethanol concentrations during brewing stages and distilling. Red grapes for winemaking have been analyzed for certain parameters such as anthocyanins, total soluble solids, and pH over the range 400-2500nm. Ethanol14, fructose, and tartaric acid have been popular parameters of interest in final wine products. 14. Buchanan, B.R., D.E. Honigs, C.J. Lee, and Roth. 1988. Detection of ethanol in wines using optical-fiber measurements and near infrared analysis. Appl. Spectrosc.42(6):1106-1111. 15. Coventry, A.G., and M.J. Hunston. 1984. Applications of near-infrared spectroscopy to the analysis of beer samples. Cereal Foods World 29:715, 717-718. Meats, poultry, and fish are also monitored by NIRS. 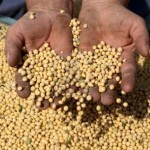 Certain parameters such as fat, moisture, and protein content are some of the most important. Ground and frozen meats can be analyzed for quality and control and even factors such as meat tenderness can be acquired14! 14. Hildrum, K.I., B.N. Nilsen, M. Mielnik, and T. Naes. 1994. Prediction of sensory characteristics of beef by near infrared spectroscopy. Meat sci. 38:67-80. 15. Windham, W.R., and W.H. Morrison. 1998. 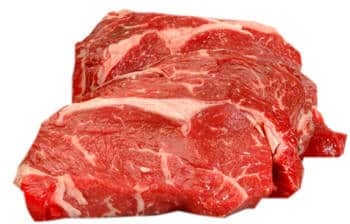 Prediction of fatty acid content in beef neck lean by near infrared reflectance analysis. J. 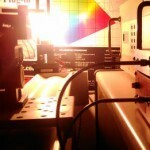 Near Infrared Spectrosc. 6:229-234. Our complete solution of combined hardware and software can help you to improve the productivity and efficiency of many dairy processing applications. Milk is the first food for humans and mammals alike, and therefore quality control and analysis of Dairy products is of utmost importance. This is all in an effort to help you reduce costs while ultimately improving quality by monitoring parameters such as protein, fat, lactose, and much more. Non-destructive sample testing ensures fast and low cost analysis whenever you need it. 16. Barabassy, S., and K. Kaffka. 1993. The application possibilities of the near infrared technique in the non destructive investigation of mixed milk powder products. J. Food Phys. 57:39-48. 17. Frank, J.F. and G.S. Birth. 1982. 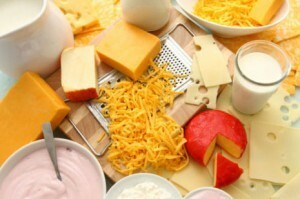 Application of near infrared reflectance spectroscopy to cheese analysis. J. Dairy Sci. 65:1110-1116. Commercial coffee is mainly made up of two main blends, Arabica and Robusta. Main distinguishing absorptions can be found from water content (1466 and 1962nm) and lipids (1209, 2308, and 2346nm)8. NIRS can be used for classification as well as blending. Also, caffeine and dry matter content can be determined. Green9, black, and oolong tea can be analyzed for different different polyphenols, caffeine, and amino acids by using various wavelengths in the NIR thus allowing rapid determination of factors relating to tea taste and health parameters. Since the 70’s NIRS has been used to predict the total reducing sugar content in tobacco and total alkaloids providing valuable information about the mildness and aroma of the smoke10. 8. Downey, G., and J. Boussion. 1996. Authentication of coffee bean variety by near-infrared reflectance spectroscopy of dried extract. J. Sci. Food Agric. 71:41-49. 9. 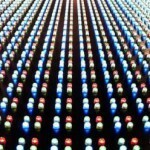 Ikegaya, K.,1990. Determination of chemical constituents in processed green tea by near infrared analysis. JARQ 24:49-53. 10. Hamid, A., W.F. McClure, and W.W. Weeks. 1978. Rapid spectrophotometric analysis of chemical composition of tobacco. Part 2. Total alkaloids. Beitr. Tabakforsch. Int. 9:267-274. Fats and oils constitute the main source of energy and essential fatty acids in the human an animal diet. All fatty acids display peaks of varying intensities at 1700nm due to a weak C-H modes. Also, weaker overtones can be found at 1200, 2200, and 2500nm. 18. Garrido, A., C. Cobo, J. Garicia-Olmo, M.T. Sanchez-Pineda, R. Alcala, J.M. Horcas, and A. Jimenez. 2000. The feasibility of near infrared spectroscopy for olive oil quality control. p. 867-871. InA.M.C. Davies and R. Giangiacomo (ed.) Near Infrared spectroscopy: Proceedings of the 9th Int. Conference. NIR publications, Chichester, UK. 19. Perez-Vich, B., L Velasco, and J.M. Fernandez-Martinez. 1998. Determination of seed oil content and fatty acid composition in sunflower through the analysis of intact seeds, husked seeds, meal, and oil by near infrared reflectance spectroscopy. J. Am. Oil Chem. Soc. 75:547-555. StellarNet’s chemometrics toolkit speeds up decision making by equipping you with faster analytical results, shortening the time from raw material to final product. This can be used to identify the presence of residual monomers and determine polymers ratios, saving time and operating costs. Pilot scale-up pains can be minimized by improving quality and optimizing overall profit.